Rediff.com » News » Which church will Obama visit on Sunday? Which church will Obama visit on Sunday? Notwithstanding the attempts by sections of the Republican party to question his religion -- even dub him a Muslim -- Barack Obama has been outspoken about his Christian faith. This Sunday morning the American President will find himself in Mumbai. Rediff.com's Vaihayasi Pande Daniel visits the Mumbai churches where America's leader and First Lady could pray. Barack Obama is careful to portray himself as a vigorous Christian. That is a political necessity given the fact that his father was a Kenya-born Muslim, and the recent attempts by sections of the Opposition Republican Party to question his Christian faith and project him as a Muslim. When he is Washington DC, the American President and his wife Michelle, with their young daughters Sasha and Malia in tow, worship at the Saint John's Episcopal Church. If they are staying at Camp David, the presidential weekend retreat, they pray at the Camp David chapel. On his travels Obama has visited churches like the Byzantine beauty, the Hagia Sophia church in Istanbul, and Dresden's classic Frauenkirche Church, that was bombed in World War II and rebuilt. On November 7, his first Sunday in India, where will Barack and Michelle Obama go to church in Mumbai? 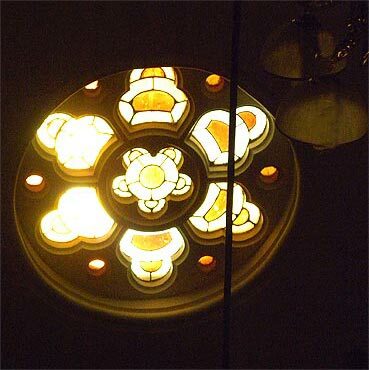 The Afghan Church, also known as The Church of Saint John the Evangelist, would be an obvious choice. Located within the tidy military quarter of Navy Nagar in Colaba, south Mumbai, the basalt and limestone monument, with exquisite stained glass, is the city's most elegant church. Built in 1838 in traditional Gothic style, to commemorate the martyrs of the three Afghan Wars, the Afghan Church has always attracted international celebrities and tourists like pop diva Madonna in 2008. Church service begins at 0830 hours sharp. But Obama is an early riser and could easily make it in time for Reverend Graham Engineer's sermon and to hear the famous Sunday morning eight-bell toll that has bewitched Colaba residents for nearly two centuries. Things were rather sleepy when we dropped in at the Afghan Church to see if they were getting ready for the American President. Martin, who has been the 'verger' for 25-odd years, knew that Obama would visit some of Mumbai's colleges, but did not think he would coming to pray at the Afghan Church. "Aise to sunah nahin hain (I have not heard of this)." A telephone call to Bishop Prakash Dinkar Patole, who heads the Bombay Diocese of the Anglican Christian community -- the Obamas are Protestants, not Roman Catholic -- reveals he has no information about a church visit by the US President. The Bowen Methodist Church is right round the corner! At the Bowen Memorial Methodist Church, caretaker Rajaraman had not heard of Barack Obama. Says Reverend Walter Kunder of the Bowen Church doubtfully, "We have no information so far." The dilapidated 123-year-old church on Lansdowne Road -- just a five-minute walk from the Taj Mahal Palace and Tower hotel where the Obamas will stay in Mumbai -- may be an ideal choice for Barack and Michelle on a balmy Mumbai morning. Service starts at the more convenient 10 am. This simple colonial church with a Gothic spire -- it has none of the haughty grandeur of the Afghan Church -- was built in honour of Reverend George Bowen, a much-loved American Methodist missionary and writer, who died in Mumbai. 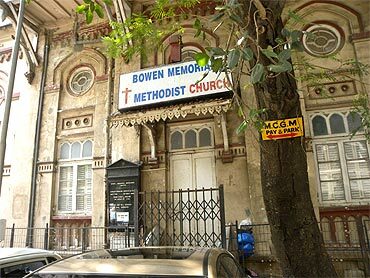 Vermont-born Bowen, who arrived in Mumbai in 1848, was nicknamed The White Saint of India and devoted his life to the city. Bowen spoke Hindi and Marathi, did "pioneering outreach work," says Kunder, and was an associate editor at a local newspaper, probably the Bombay Standard and Chronicle of Western India that later became The Times of India. Just beyond the doors of the Bowen Methodist Church is Colaba's famous Bade Miya eaterie. Barack has quite the taste for Indian food, thanks to his Indian and Pakistani college mates, and would quite enjoy some of the city's most succulent kebabs. Don't know if Michelle would like some Seekh though! Reverend John Silas, the presbyter at Fort's St Thomas Cathedral (built in 1718), has not been informed that the American President may be coming to his church for a service on Sunday. But he says such a visit may possibly happen because in the past they were given just three or four days notice when then US Secretary of State Colin Powell decided to visit the Cathedral. "They need three, four days to scout around the place and bring their dogs," says Silas. "They are very paranoid -- rightly so about security." Silas feels that if Obama worships in a church in Mumbai it ought to be the Cathedral. "This is the key church of the city," he says. And if Obama came to his church what would he say in his sermon? Silas says with a chuckle, "I would ask him to give the sermon!" This majestic Anglican church is the city's first house of worship that came up to 'improve the moral standards of a British settlement'. Sacred to the memory of commanders, officers, ship's company of the hon'ble East India Company's steam frigate Cleopatra which is supposed to have foundered in a hurricane off the coast of Malabar on the 15th Day of April 1847. 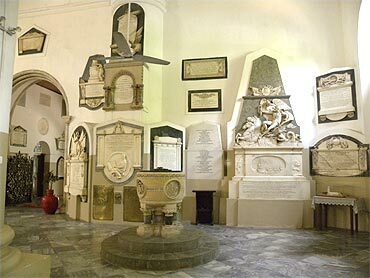 To commemorate in this sacred place the name of Henry Curwen, Editor, Times of India who being invalided home died at sea on the 22nd February 1892 in the 46th year of his age. 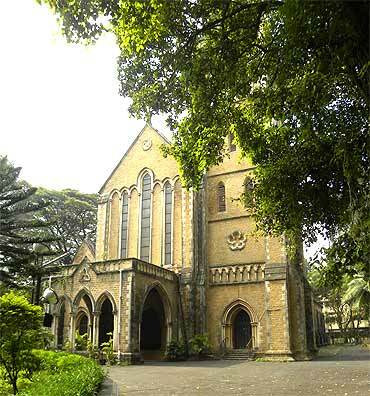 The All Saints Church atop Malabar Hill, built in 1881 for Rs 5,000, was the house of worship for Bombay's British governors. After Independence, Mumbai's diplomat population often worshipped at this tiny church including several US consul generals over the years. It is quite possible that Paul A Folmsbee, the present US consul general in Mumbai, may suggest that the Obamas visit this cute church on the hill, probably one of the prettiest in the city, to hear Reverend Avinash Rangayya's discourse. If he decides to eschew Reverend Kunder or Reverend Silas's Sunday homily in Mumbai, Obama will have to rely on his BlackBerry. When he can't make it to church, Obama mostly keeps in touch with God through his BlackBerry. He receives, every morning, a small electronic package of prayers, parables and the Good Word, according to ABC News, from Joshua Dubois, one of his spiritual advisors, that gives him something to chew on for the rest of the day.